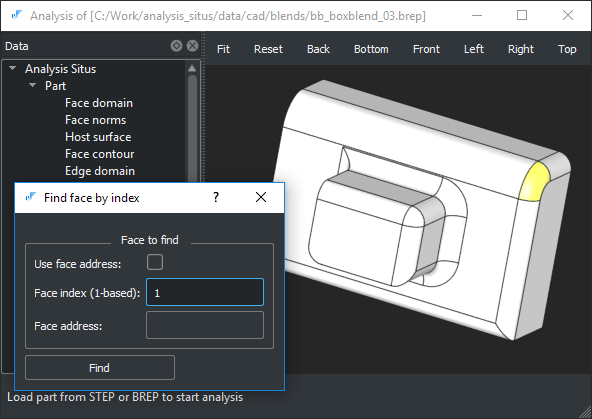 To find a boundary element of interest (face or edge), you may use "Ctrl+F" (for face) and "Ctrl+E" (for edge) key combinations. In the opened dialog, you will be prompted to enter the 1-based index of the element. You may also use the transient addresses (helpful in debugging sessions when you're developing custom algorithms).